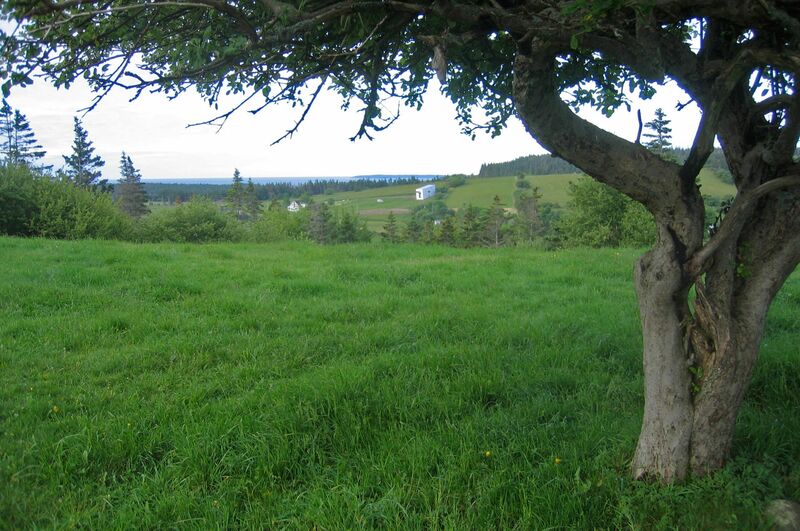 Walking trails that cross distant fields and farmlands offer sweeping views, like this one from Vinegar Hill towards Sliding House. 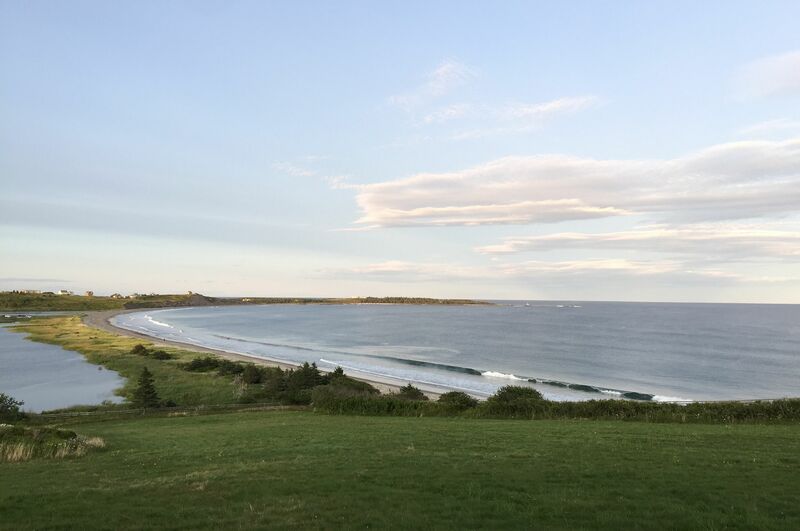 Hartling Bay and the tumble of waves upon Hirtle's Beach, as seen on a late summer afternoon. 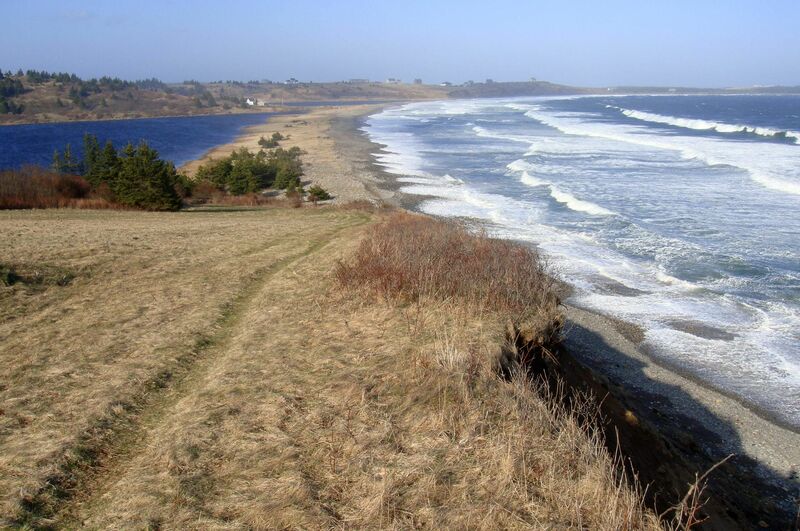 A winter storm breaks hard upon Hirtle's Beach. 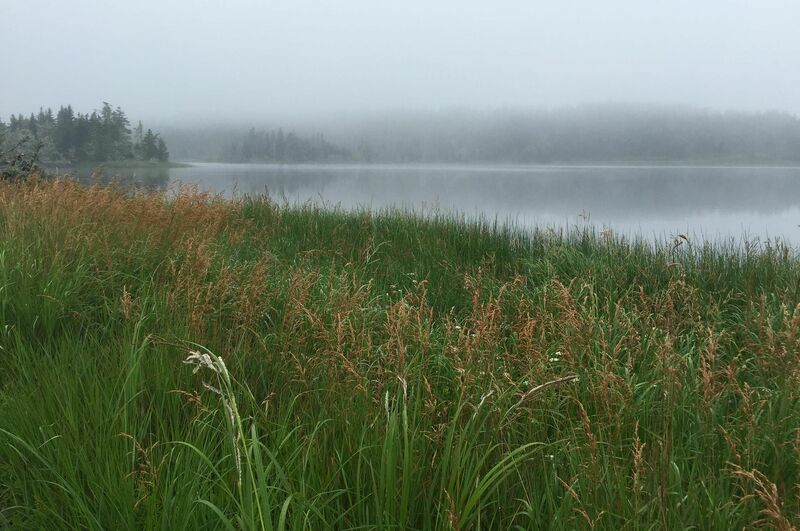 A light fog lingers over Romkey Pond on an early summer morning. 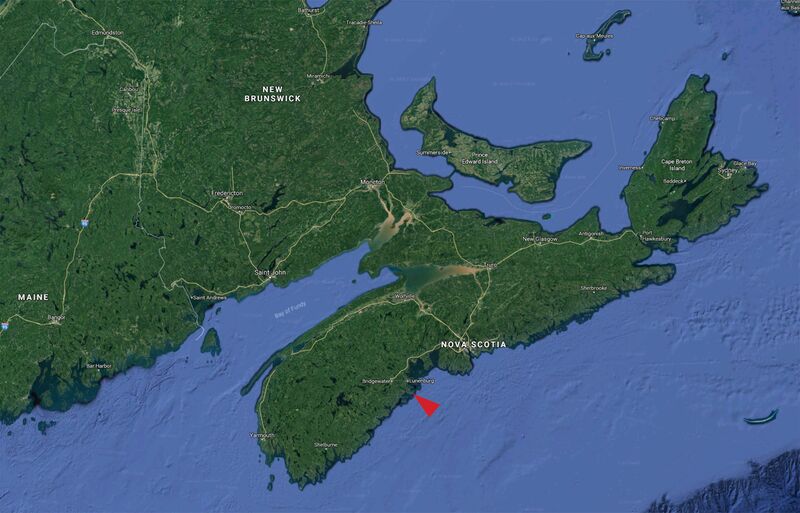 The historic hamlet of Upper Kingsburg (founded 1785) is situated on the South Shore of Nova Scotia, not far from Lunenburg. 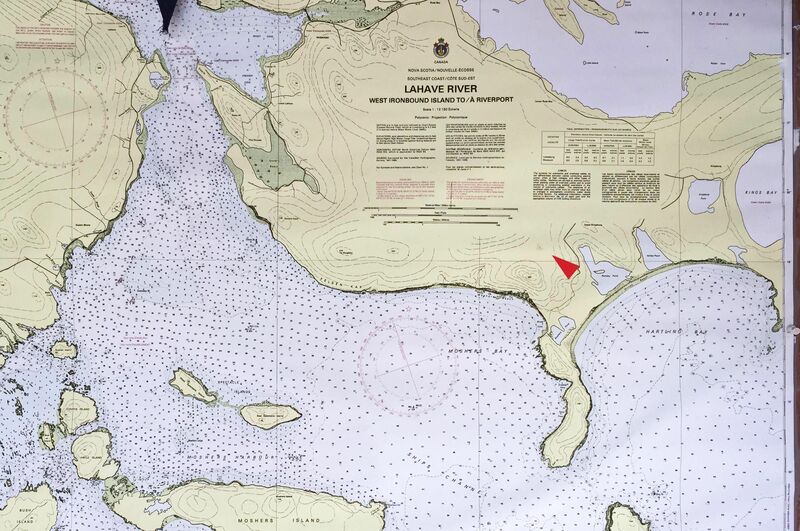 Near Sliding House (red arrow) is Gaff Point, a popular hiking destination with amazing views of the Atlantic and islands that shelter the mouth of the LaHave River. 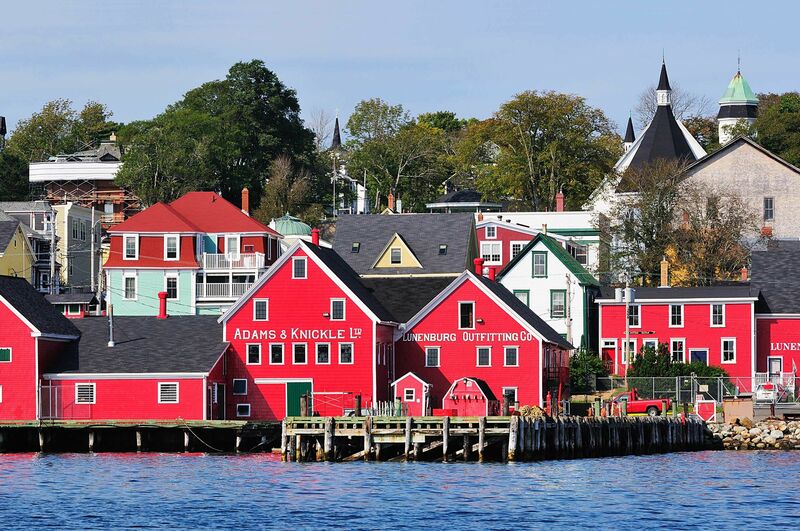 Old Town Lunenburg is a UNESCO World Heritage site and the home port of the great Bluenose schooner that is featured on the Canadian dime. 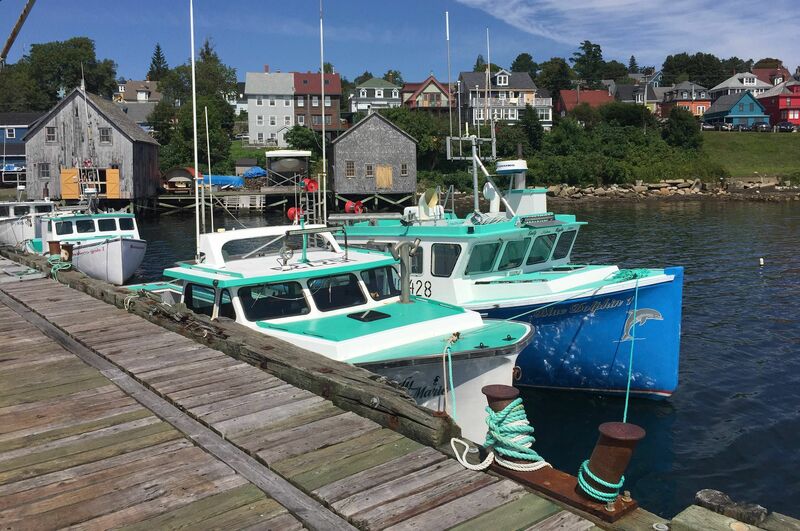 Lobster and scallop fishing continue to be a way of life in Lunenburg. 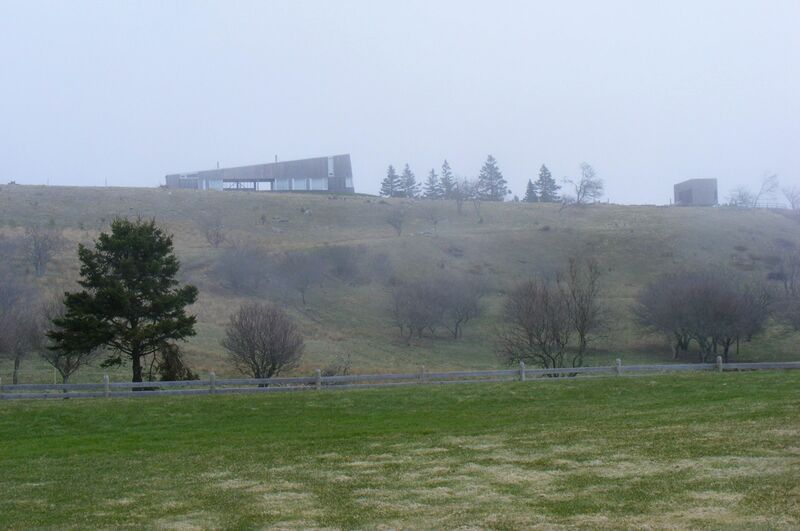 The working farm and rural studio of Brian MacKay-Lyons is just down the road. 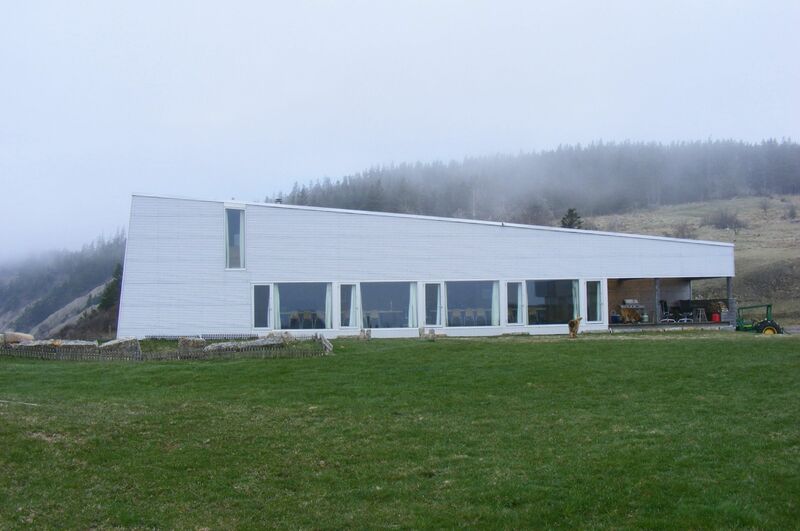 The Messenger House is one of the many buildings in the immediate area designed by Brian and MLS Architects.